We like to look to the past as well as to the future, to honour the work of those that go before us. Our Life Members are those deemed by the Board to have made an outstanding contribution to the Promotion of the Value of Play in Australia. Awarded Life Membership of Play Australia Nov 2018 . Ray has provided Risk Assessments and Maintenance Reports in Victoria and Tasmania for 30 years. The maintenance arm in Victoria now operates as “Hutchison Parks Services” while Ray continues to provide design and installation assessments in Victoria and throughout Tasmania. He has contributed enormously to the work of Play Australia over the last 20 years. Jason coordinates Playgrounds Maintenance at the City of Hume and has presented at our 2 Day Training Program for approx. 7 years. He is a most effective presenter given his ‘hands on’ experience and adds great value to this program. Rob is the lead contributor to our 2 Day Training Program and has made a significant contribution to it’s ongoing success, as well as supporting our Standards and information development function on a regular basis. Brendan has been the primary member at the City of Casey for many years, he has always provided advice and support whenever requested, he has hosted the Local Government Play Network on a number of occasions, and has been a long-standing attendee at our meetings and activities. Mark no longer works in the Local Government sector directly but for many years was a key presenter at our 2 Day Training Program, whilst the Manager of Parks at the Cities of Port Phillip, Yarra and Boroondara. Andrew is a risk assessor in WA and has made a remarkable contribution to play in WA by enabling challenging playspaces to be developed in that state. He has been a long-standing member of the Playground Standards Committee and has provided significant support to Play Australia over many years. He was formerly the General Manager of Forpark Australia for 15 years. 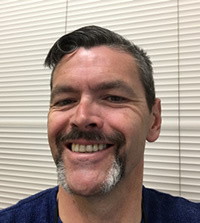 Jason manages Parks Maintenance at the City of Hobsons Bay, and previously at the City of Yarra, has presented at our training programs over the years, and has hosted various meetings for Play Australia. 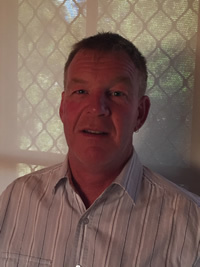 Simon has been an active member of Play Australia for many years and has made an enormous contribution to the promotion and development of play in South Australia. Simon’s work as the Project Manager for the Burnside Adventure Park in 2005 was outstanding. This playspace has won numerous national Awards including the prestigious PRAV/PLA Award in 2005 for Innovation in playspace design. Since then he has supported play projects in his General Management positions at the Rural City of Murray Bridge and now at the City of Prospect. Simon has developed special expertise in the design of children's playspaces particularly designed to enable access of all children to the playspace within the most beautiful natural environments. Simon has a particular expertise in blending the play needs of children and the natural environment. He is highly regarded in the industry and has been the Chairperson of Play Australia SA since 2015 and the Board of Play Australia is thrilled to award Simon with a Life Membership of Play Australia. Sue has been employed for over 25 years in a variety of early childhood settings including long day care, mobile and sessional preschool as an early childhood educator and at the tertiary level in early childhood training courses at TAFE and university.She has co-ordinated early childhood consultancy projects for various organisations including the Royal Botanic Gardens Melbourne, Museum Victoria and Melbourne Zoo focussed on the development and facilitation of early years’ programs. She has also been employed as a training co-ordinator with Community Child Care Victoria, Early Childhood Education Officer for Sun Smart at the Cancer Council Victoria and a sessional early childhood educator at the Melbourne Aquarium and Royal Botanic Gardens, Melbourne. Currently she is a Senior Lecturer and Course Co-ordinator in the School of Education at UNE in the Bachelor of Education (Early Childhood and Primary) and Bachelor of Education (Early Childhood Teaching). She has a broad range of research interests including: education for sustainability, natural playspaces and forest preschool approaches and has presented papers on various topics at international conferences in countries as diverse as Korea, China, Canada, Sweden and in Australia. 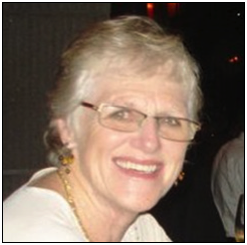 Play Australia was privileged to have her expertise on our Board of Management from 2002 to 2012, and wished to recognise her broad range of experience and practical insights in promoting the value of play by awarding her with Life membership in 2017. Awarded Life Membership of Play Australia on July 5th 2016. Kerry has a long standing involvement with preschool programs both as a hands on teacher, trainer and consultant specialising in outdoor play and environments. Her teaching experiences have included semi-rural, metropolitan and inner urban areas as well as in the demonstration program at the Melbourne Lady Gowrie Child Centre. She has been responsible for coordinating both federally and state funded in-service training programs as well as in presenting training sessions and keynote addresses at many conferences. She has also been involved in the training, assessment and mentoring of students from a range of tertiary training institutions. Kerry served as a member of the Committee of Management of the Playgrounds & Recreation Association of Victoria in the 1990s and has played an active role in the organisation for 20 years. 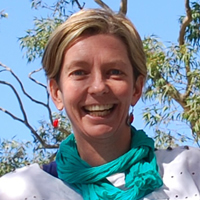 For 10 years she partnered with Pattie Morgan in providing quality training in outdoor play for Play Australia throughout Victoria and interstate. Awarded Life Membership of Play Australia on October 18th 2012. 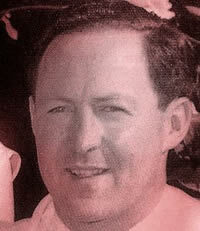 Life Membership of Play Australia was awarded to Felix Hemingway in recognition of his significant contribution to Play Australia. Felix joined the Committee of Management of PRAV in September 1994. He has been extremely dedicated in the time and work he has given to the strategic direction and operation of the organisation. This has occurred over many years, including his current significant contribution to the development of Play Australia. In his time on the Committee he has been President for 5 years (1997 – 2002), as well as Vice President, a long standing member of the executive and general committee member. During the very difficult years following the death of the previous Executive Officer, Felix worked closely with Jeff Speake and Cathy Kiss to continue to run the organisation. This included a stark analysis of whether the organisation should continue – but our review always brought us back to the fact that there was no other organisation providing this role and there was a need for it. Felix worked incredibly hard to help the organisation continue to operate, guiding it until we were finally in a position to appoint new staff. One of Felix’s greatest strengths and gifts to this organisation has been his wisdom. Felix has a unique, thoughtful and always inspiring way of viewing things. And his contribution to discussions and processes has always led to our reaching a better outcome. Felix is a leading thinker in the country on the development of cities, space, people and play. Felix has contributed significantly to the development of relationships and partnerships with other organisations such as AILA which has enabled shared forums on design issues. 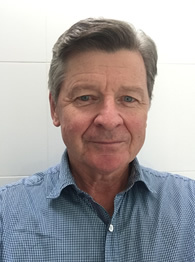 He has initiated relationships with the tertiary education sector, in particular RMIT and Deakin, having chaired the development of the course in Landscape Architecture at Deakin. He recognises and values all the sectors involved in play, advocating that by all sectors working together we can provide the best outcome for children. Felix has always considered and made time for younger or less experienced people within the play sector. Felix always made a point of attending the network meetings as we were establishing this role. He would add to any discussion and you could always see how much people learned from him. We have always prided ourselves that Play Australia had as one of its great strengths that people share information – Felix has been a great role model. Play Australia has grown and changed considerably in the 18 years Felix has been involved and he has significantly influenced its growth and direction. Working with Felix on the Board of Play Australia has been a great privilege and pleasure. Awarded Life Membership of Play Australia on February 17th, 2017. Joey joined the Committee of Management of the Playgrounds & Recreation Association of Victoria in 1999 and served for a number of years offering her expertise and insights as PRAV transitioned into Play Australia. She has played an important role in strengthening the message that outdoor play matters for all children and young people, and Life Membership was awarded to Joey at our most recent AGM in 2016 to acknowledge her huge contribution to the development and promotion of play in Australia. Joey has worked for the City of Manningham as the Play Space Coordinator, Cultural & Leisure Services & Community Services since 2000. During this time she has been able to collaborate successfully with a wide range of stakeholders and has developed strong working relationships with professionals across a broad range of networks relevant to the Play Industry in Australia. In March 2015 Joey initiated the Local Government Play Network, a forum for our members to meet regularly throughout the year, to discuss issues of interest to the play industry, and is hosted by Local Government, and which has continued since then most successfully. Joey was a key player in the establishment of the first Bush Kinder program in Australia, a program that has now been rolled out to approximately 300 kindergarten programs in Victoria, a huge step forward in the promotion of outdoor play for children in this country. With her relaxed and easy going personality she has been able to forge collaborations with many organisation in her various roles including: Parks and Leisure Australia, Local Government Urban Design Network, Nature Play (Kids in Nature Network), Sport and Recreation Victoria, Parks Victoria, Eastern Region Sport and Recreation Network, Early Childhood Outdoor Learning Network and VicHealth. 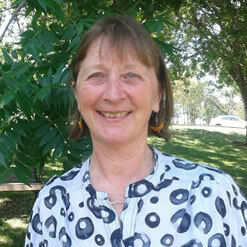 She has recently been appointed as an Open Space Planner at the Bass Coast Shire Council. Awarded Life Membership of Play Australia on October 18th, 2007. Life Membership was awarded to Jeff Speake on 18th October 2007 in recognition of his untiring efforts in support of the work of Play Australia in the promotion of play throughout Australia. 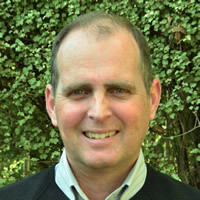 Jeff established Safe Play Systems in 1993 to support his passion for play. Prior to running his own business Jeff worked in the air conditioning and mechanical services industry for 16 years. He was Dealer Manager, Victorian State Manager, and Product Marketing Manager at Emailair, the air conditioning division of EMAIL, a major Australian public company. 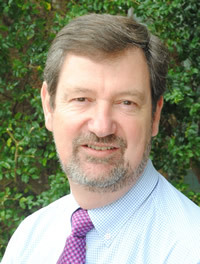 Jeff was a Board Member of Play Australia from 1994 to 2015, including ten years as Vice President of the organisation. Jeff played an extremely important role in the organisation in representing the commercial members within our industry. Jeff ensured that our business members were always included in the discussions about the importance of play. As Director of SafePlay, Jeff provides input on design, plan presentation, development costs, project management and liaison with clients, suppliers, and contractors. He also established Zojoz Pty Ltd in 2011, a company that specialises in sourcing special landscape/designer pieces for use in public open space. Jeff firmly believes that play is important for all ages, especially adults. That play may be travel, cycling, sport, or just long walks – play and leisure is important. When we step out of our work zone, or daily routine, a different environment often sparks great ideas and creative thinking. While children are encouraged to play, adults often need to give themselves ‘permission’ to play. “All work and no play” applies as much to adults as it does to kids. Additionally, the importance of cross-generational play cannot be over stated. Grandparents plan for play with their grandchildren, have a great time doing so and everyone enjoys it. Best of all, the grandchildren will embrace it as true bonding occurs. Play Australia is indebted to Jeff (with the support of Lesley) for his many years of active service to the organisation. Awarded Life Membership of Play Australia on . Ric was born in Dimboola in 1923 and died on 6 May 2017 at the age of 93. 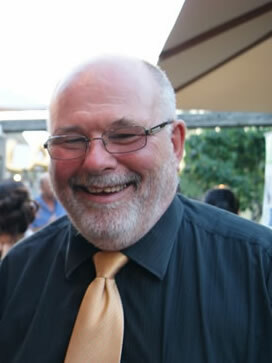 His professional life as a GP was mostly spent in Morwell where he developed his interest in injury prevention, which involved road safety, water safety, alcohol related problems, first aid training, the seat belt campaign, the development of bike helmet legislation, and ambulance training. He was a Vice President of PRAV (the predecessor of Play Australia), and a member of the Committee of Management from 1985 to 1995. He played a leading role in working with the Victorian Government and many other agencies in the prevention of injury in playgrounds. He spent many hours personally checking playgrounds for potential hazards. He encouraged research in injury prevention, and was a tireless contributor to community health and maintained his interest in safety through reading and letter-writing well into his 90s. These Life Members are now deceased.